Pet Corner Dubai is one of the leading pet shops in Dubai, offering wide range of pet products & grooming option for pet lovers. They also have an online store to order pet food at your ease. 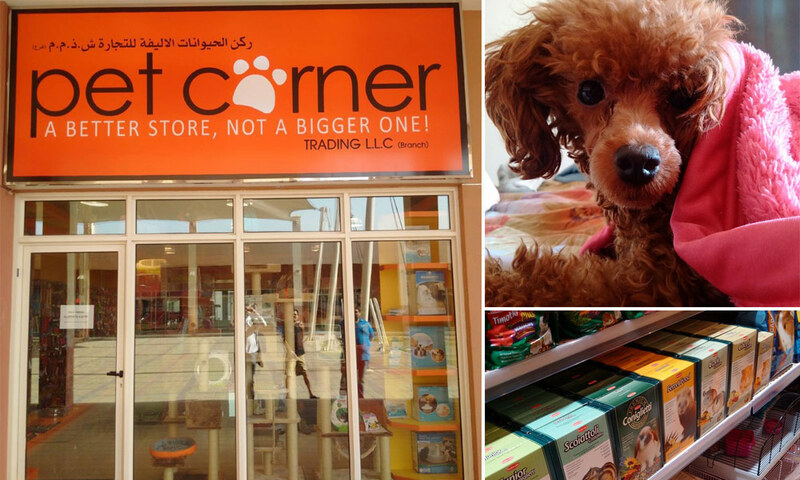 Pet Corner is a family-owned pet store in Dubai, operating since 2005. With more than 10 years of experience in the industry, Pet Corner provides a wide range of services to the pet owners. They provide more than 3000 types of pet products to choose from. If you are a dog owner or a cat, they have an exclusive range of products for both. They also have a product range for birds, fishes and other animals. If you are looking to own a pet, Pet Corner is the right place as they provide options to own a puppy, cat, bird & fishes to customers. They also provide the listing of these lovely pets on their website along with the pictures and information. They also list sold pet’s on the website, so it will be a right place for you to explore pets listing and get additional information. The pricing of some pets is available online and for some you have to contact them for a price. They also provide an option to buy other pets such as rabbits & hamsters. At Pet Corner, you can find a wide range of pet products to choose from. The pet products are available for dog, cat, birds & fishes. The products include food items, grooming, toys, odor control, bowls, furniture, feeders, beds, fish tank maintenance & more. You can also order the pet products from the online store on their website. The below international brands are available at Pet Corner Dubai.